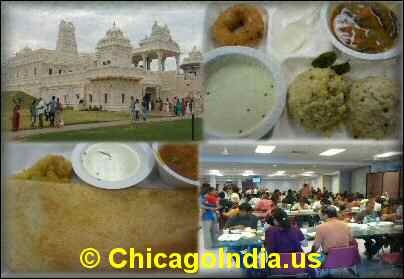 Chicago is teeming with Indian restaurants, so much so that it seems like an embarras de richesses. While Indian restaurants may be found all across Chicago, their presence is most visible on Devon Avenue (Mahatma Gandhi Marg). 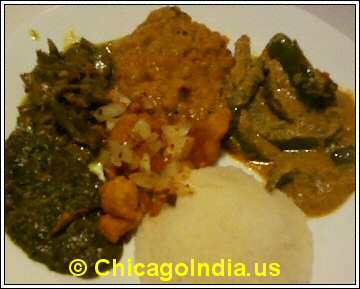 With several varieties of cuisines, Indian restaurants in Chicago panders to all desis, be they from the South, North, East or West. Dum Biryani, Masala Dosa, Palak Paneer, Chaat, Tandoori Chicken, Chicken Manchurian, Lamb Biryani, Gujarati Thali, oh, the choices are truly endless at Chicago Indian restaurants. If you have a sweet tooth, there are a bunch of mithai shops like Sukhadia etc where you can indulge till you belch. Come weekends, you can see Indians getting down from their BMW, Lexus, Toyota Camry and Honda Accord cars to feast at the Indian restaurants on Devon ave.